Ten cars with gas condensate derailed and caught fire in Kirov, announced on Wednesday State Department of Ministry of Emergency Situations in the region. 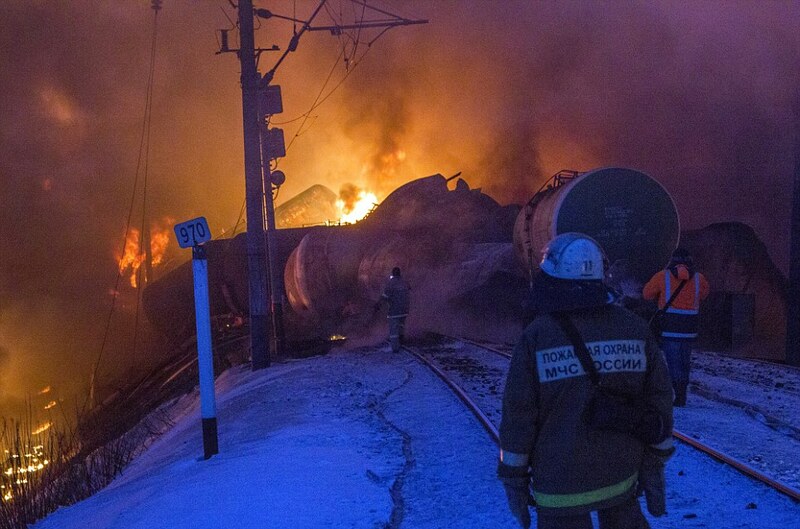 “At 04.44 Moscow time on 05.02.2014 a message was received stating that there was a derailment of ten cars with gas condensate (wagons derailed),” said in a statement. According MES nobody was killed or got injuries.